America’s longest-running chess tournament – the 140th Annual New York State Championship – was held in Albany from August 31 – September 3. 18-year-old Lev Paciorkowski took clear first with 5 points out of 6. 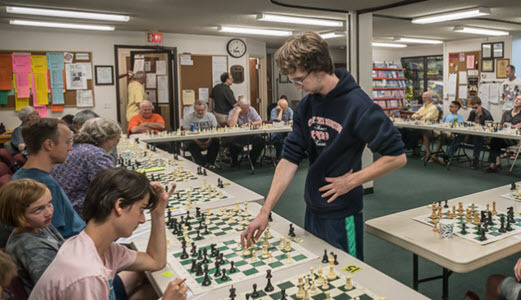 Lev’s formative chess years were spent playing at the Rochester Chess Center and in the Rochester Interscholastic Chess League; now Lev, a Senior Master, attends Rochester Institute of Technology. The last time a Rochester-area resident won the NYS Championship was now-GM Ken Rogoff in 1972. America’s most active player, IM Jay Bonin, is a regular at this annual event, and was determined to try to recapture the State Championship. Jay’s many fans were disappointed when he lost in the first round to Kevin Zhong, but Jay was not daunted. 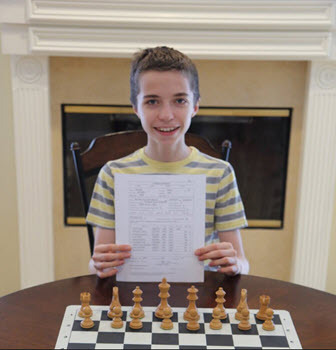 Top-rated in the event was 15-year-old IM David Brodsky. The only GM in the event was Philadelphia-based Bryan Smith. Smith, Brodsky and Paciorkowski each won their first 3 games. In round 4, Smith drew with Brodsky, while Californian master Jimmy Heiserman, who was a half-point back, held on for a draw against Paciorkowski. Meanwhile, Bonin continued his comeback. After 4 rounds, Brodsky, Smith and Paciorkowsi still led with 3.5, but now Bonin was the highest-rated player a half-point back and he effectively joined their score group. The top two boards in round 5 featured hard-fought, unbalanced positions, both of which ended in draws. But in Round 6 this same group produced decisive results. Lev Paciorkowski defeated Bryan Smith, and thus reached 5/6. Jay Bonin got to 4.5 by winning against David Brodsky. Meanwhile, Jimmy Heiserman also scored 4.5 by virtue of his victory against David Carter. Bonin and Heiserman tied for 2nd in the event. 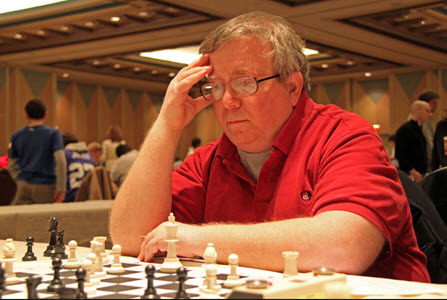 Bill Goichberg, Steve Immitt, and Harold Scott directed the event for the Continental Chess Association.